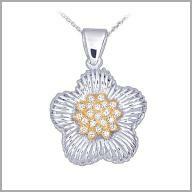 Sterling Silver / 14K Gold Diamond Flower Pendant w/ ChainPrice includes 30% discount. 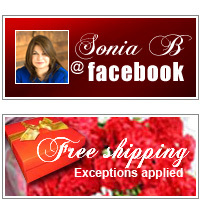 Make your floral fantasies come true. 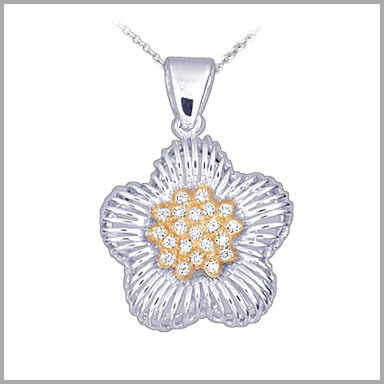 This fascinating flower pendant is crafted in polished and satin sterling silver and 14K yellow gold. It features 21 full round cut diamonds in prong settings at the center. The total diamond weight is approximately 0.21ct with a color of H-I and a clarity of SI1-3. It measures 1-3/16" x 13/16" and includes an 18" curb chain with a lobster claw clasp.